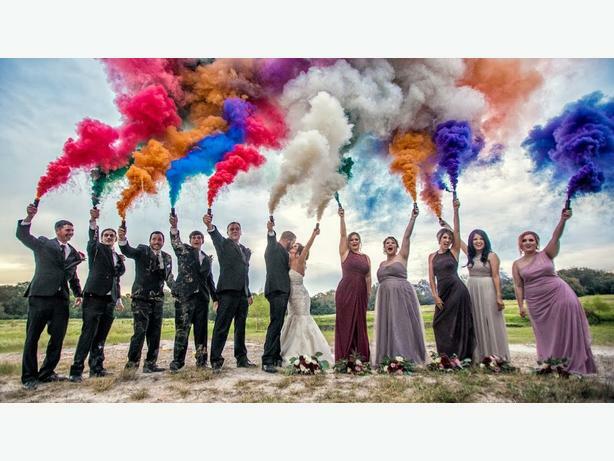 If there's one trend that's the bomb in weddings right now (literally), it's smoke bombs. These fun props take off in gorgeous clouds of color, creating a dreamy backdrop, ideal for all occasions, weddings, parties, photo shoots etc. Available in 8 different colours.